If you care about how many people see, and engage with your Facebook posts – then you need to know when to post to that particular page. Don’t trust blanket rules of ‘most readers are online and responsive between 10am – 11am’. That may be true for certain groups of people, but many groups have totally different habits. It’s easy to see why a page targeted to Human Resources and recruitment might peak somewhere between 9-5, but a page targeting night shift workers won’t — because they’ll be asleep! 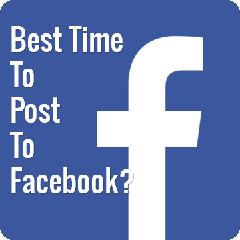 The best time to post to Facebook depends on the Page – there is NOT one rule for all Pages. So you need to get the actual data for your pages. And fortunately Facebook have made this easy to do. You should now be looking at a very useful graph that shows an average of when your fans are online over the last 7 days. That is, the time when the people who liked that specific page were online. What you are looking for here is where the peaks and troughs are. And in a nutshell, unless your post is time critical, don’t post it when nobody is there! Schedule your Facebook posts for a time when most of your fans are online to see it. This will maximise your chances of your fans not only seeing but engaging with your post. From our example graph above, the least number of fans of this page are online around 8am – 11am. So we’d actually be looking to schedule posting to this page for around 3am-4am to capture the most attention. But we would also test anytime after 6pm when the numbers start to peak to see what works best. This ‘When Your Fans Are Online’ page is also useful to see what days your fans are online – just hover your mouse over each day above the graph to see the graph change for each specific day. Many of us have preconceived ideas about when people will see our posts – with a very common belief for example that B2B type fans are simply not there on the weekend. The results might well surprise you. Bear in mind this is for a 1 week period only, so it’s something that is worth coming back to once in a while as your fan base grows to see if it has changed. There is a lot of data to be found in Facebook Insights, particularly if you hit the Export button at the top and start to really crunch those numbers. Let me know if you found this useful in the comments below, and I’ll add some more useful Facebook page tips.